Good news for all Cover Orange fans! The Cover Orange Players Pack is live at Bubblebox! 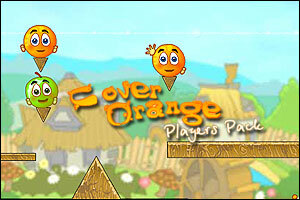 “Over the past month many Cover Orange players have used all of their creativity to test your puzzle skills with their own original home-made levels. The difficulty of these player pack levels is higher than in the original Cover Orange games. Cover Orange Players Pack video walkthrough! Posted on Monday, March 29th, 2010. Follow any responses through the RSS 2.0 feed.